New York’s Medicaid program has always been intended to help low income patients afford medically necessary treatments, but billing records suggest millions of public health dollars have paid for cosmetic procedures to straighten teeth. And the braces bills continued to bulge even as the state’s Medicaid rules were set to become more restrictive last year. 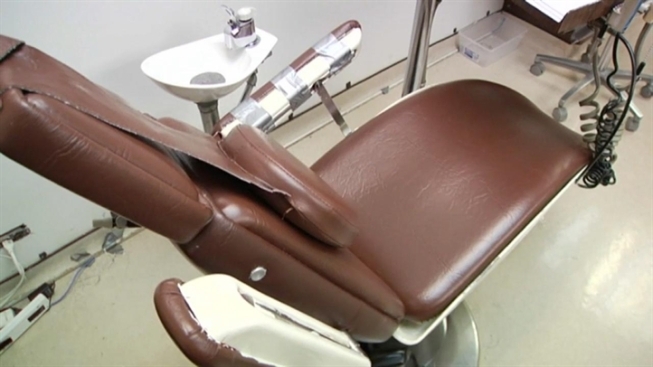 The I-Team used New York’s Freedom of Information Law to obtain orthodontist bills charged to the Medicaid program between 2008 and 2012, and the results show taxpayers have been spending more on braces each year. In 2012, New York orthodontists took home $61 million in Medicaid reimbursements, an 11 percent increase over the $55 million they billed in 2008. Most of the bills were for braces. The 2012 reimbursements are of particular interest because in October of last year, New York’s Medicaid rules became more stringent, requiring patients to have severe oral health problems in order to qualify for tax-funded orthodontics. Despite tougher Medicaid rules in the fourth quarter of the year, taxpayers still paid more for braces than they did the previous year. Although some braces procedures are considered medically necessary, most are primarily cosmetic. “When you get to a question of orthodontics where most of them are for cosmetic purposes to make teeth look better as opposed to being medically necessary to improve health, I think you’ve got to question expenses like that,” said Paul Howard, a health care policy analyst for the conservative think tank Manhattan Institute. According to the Medicaid billing records, which were provided by the New York State Health Department, the orthodontist who billed taxpayers the most for braces over the last two years was Dr. Zayda Sanchez. Her practice in Washington Heights was reimbursed for just over $6.6 million dollars in orthodontic procedures since January of 2012. Most of Dr. Sanchez’s reimbursements were braces for teenagers like Kamali Williamson. She said braces are a boost to her self-esteem. “It makes you feel better, like you have nice teeth,” Williamson said. Sanchez said many of the braces procedures she performed before October of 2012 were primarily cosmetic, and she’s dismayed that the rules have made it tougher for low income teenagers to qualify for orthodontics. “I don’t think it’s fair that because you’re poor and you cannot afford to pay for something that you don’t have the right to have nice teeth. I think it should be a benefit that they have if they really need it,” Sanchez said. Since New York raised the bar to qualify for Medicaid braces, Dr. Sanchez and other orthodontists in low-income neighborhoods have had to cut back on staff and scale back their practices. The new rules only allow for Medicaid reimbursements if braces are needed to correct the most severe oral health problems like cleft palates and conditions that require surgery. Even some orthodontists say the previous rules may have been too lax. Dr. Christine Carter estimates a majority of braces procedures were approved by the state Medicaid program before the tougher standards. Now she estimates only about a quarter of procedures will be approved. “In an economic downturn, everybody has to tighten their belt. The needs are being taken care of. Not all the wants are being taken care of,” Carter said. Carter and other orthodontists are already donating some of their services to fill in the gaps – performing braces procedures free of charge for many teens who now find themselves uncovered. Still, some teenagers fear the new Medicaid rules will leave them with a severe disadvantage, especially in a job marketplace where appearance matters. Last month, Chrislie Roselin, a high school student from Queens, got braces to improve upon what was already a nice smile. Despite stricter standards, she says New York’s Medicaid program is paying for the procedure. “I think it’s best that the government insures braces so everyone can have a fair chance at getting those straight teeth,” Roselin said.